I like Jeph Loeb. Nice guy. Knows how to work up a crowd and you can tell that he truly loves working as the head of Marvel’s television arm and will defend it to the death. But when Loeb was recently pressed about some of Marvel TV’s... weaker elements, he balked and gave one of the most ridiculous answers possible. Even though all of Marvel’s movies and television shows technically take place within the same universe, if you’ve ever watched any of Netflix’s street-level-hero dramas, you know the great lengths the shows go to in order to avoid directly mentioning basically anything that happens on the silver screen. New York was invaded by aliens and, yet, to watch Daredevil and Foggy Nelson strolling around Hell’s Kitchen, you’d think nothing had ever happened. 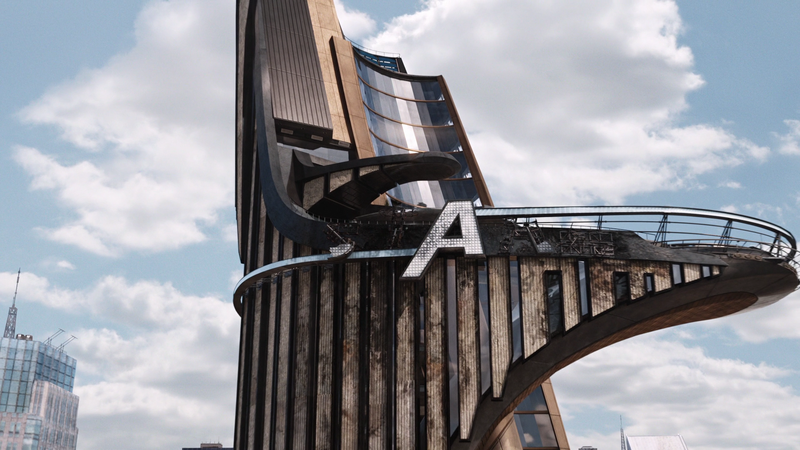 Up until very recently, the Avengers all hung out in a massive tower in midtown Manhattan with a huge A on it—a building that, were it real, would be impossible to miss if you were walking through the neighborhood. And yet not once has the Avengers Tower appeared in any of Netflix’s shows. The conspicuously missing tower came up during a recent interview with Inverse and, like a true company man, Loeb tried to make the artful argument that the way NYC is depicted in the MCU isn’t meant to be experienced like a real city. We’re supposed to get the impression that Netflix’s characters are running around in the... idea of a similar place. Loeb has a point that not every major NYC landmark is visible from every part of the city and Netflix’s charcaters do spend a fair amount of time running around boroughs far from midtown. That being said, there are a number of places depicted in the Netflix shows that are literally blocks away from the Avengers tower—so close that there’s no way in hell that we shouldn’t be able to see it. The location is some four blocks away from where Avengers tower is supposed to be and it makes a certain kind of sense that Rand Corporation would own property right around the same area as the building that was once Stark Industries’ main headquarters. Long story short: It’s not as if Netflix’s characters are never around the place the Avengers tower is supposed to be, but rather that for whatever reason, Marvel and Netflix haven’t decided to cross that particular bridge. The reason why isn’t at all clear, but it’ll surely be the cause for much speculation for years to come.